With Mother's Day coming up this weekend, the wonderful people at Hachette Book Group are helping all of us to celebrate with an exciting book giveaway! And because mothers deserve more than just a day to honor them, this giveaway will run until the end of the month. The best news? There will be FIVE winners in total. To enter, simply leave a comment on this post letting me know why you'd love to win. Be sure that there is an email address for you that I can find, or your entry will have to be disqualified. By entering, you automatically agree to all the rules and disclaimers listed here. Deadline to enter is 11:59 EST, May 31, 2009. Winner will be selected at random using Random.org. Good luck! I would love to win because, although I am a mom, my son doesn't know, because of his disabilities. And my daughter that I gave up for adoption has my heart, but will never know me. A good cheering up would do my heart good. I'd love to win because we never read enough anymore. 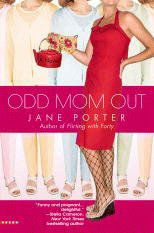 I'd love to win and read this one: Odd Mom Out by Jane Porter Looks so good! I want to win because I like to read and am always looking for interesting books to read. I would love to win because they all look like good books to read. I would like to win because I am always looking for books for my TBR pile. I'd love to win and read these books. Reading about moms, for some reason, always brings a ton of emotion and I usually cry. I could also read these to my mom who has alzheimers and it would entertain her for a bit! These books sound great! I love to read and I'd love to win! I'd love this prize because I have a friend who is a new mommy, and these would be perfect for her!! These books are such a wonderful mix of books for moms. Some are more humorous while other tug at the heartstrings! 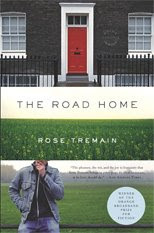 I would appreciate being entered in your delightful book giveaway drawing. I am a fan/follower of your blog. I am a mother of two daughter and I would love to read these books. Readingis a pssion for me it relaxes me! Count me in! I haven't read a book since my baby was born (excepting those of the Cat in the Hat ilk). I love unexpected literary finds -- things I might not have picked out on my own, but end up devouring -- these sound like great choices! I would love to win these books because my "to be read" stack is getting short, which makes me nervous!! I always need to have fresh reading material around -- and these books look great! I've actually read Beginner's Greek and really enjoyed it, but only borrowed it from the library, so I'd love to own it along with the others. i love to read and these books sound fabulous! I would like to win these books to read some of them myself and to share some of them with my niece who is pregnant and entering motherhood. Thanks so much!! I would like to win because I am an avid reader and would like some new books to read. these sound good. thanks for the giveaway. I enjoy reading and would love to win this set. I stumbled your blog from HBG contest site and really like your blog name. Very catchy. I love to read books. It's a great way to relax. These look like good books to read. I would love a chance to read these books and share them with my mom. Please include me in your giveaway. I would love to win - the books sound so fun and interesting. I'd be sure to share them with my mother. This is my first visit and I'm now a follower of your blog. I love the name of it! I'd like to win because I read everything and then I'd like to pass them on to a friend of mine who has a young baby. 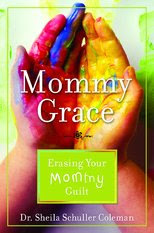 I'm always looking for good books... plus I have tons of mommy guilt, so I'd love to read Mommy Grace especially! Thanks for the chance to win! I've been wanting to read "Beginner's Greek"
I'd love to read these books. I'm really needing something to read over the summer and these choices sound super. 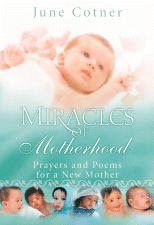 I would really love to win a set of the Mothers Day Giveaway books. Even though my daughter is grown and I now have a grandson, my daughter and I still have so much to learn about each other. Plus, I just love to read. I'd like to win becuase I would love to read all of these books!! I'd love to win this awesome package of new to me authors. I'd love to win because my Mom's birthday is the 30th and I would love to give her these books! I'd love to win because I've been wanting to read Beginner's Greek, and because some of these look like good books to share with my friends who are becoming moms soon. This would be a great way to start my summer reading! My mom and I love to read and always swap books. Its a long distance swap! She lives in NC and I in NYC!! I'd love to win because I'm spending a week at the beach with my mom this summer and we're both readers. I'd love to share these books with her! Thanks. Thank you, for holding such a wonderful giveaway, I truly appreciate it! I am a 3 time cancer survivor (age 10, brain tumor[Menegeoma], age 21 Uterine Cancer [discovered when I was 6 months pregnant], age 36 skin cancer), as well as a 30% Service Connected Disabled Veteran (US Army 6 years). I am adopting my Husbands Boys that have been living with my Husband and I for 11 years, after my Husbands X stabbed him the in the stomach, in front of the boys. One needs a heart transplant (his heart is functioning at 30%, One is Bipolar, and one has post traumatic stress and Oppositional defiant disorder. I have tried to teach my kids, that nothing is so bad, that you can not over come it. Laughter goes a long way to making yourself, and those around you feel better. I refuse to go to bed angry, and I refuse to wake up angry. I try and make the most out of every day (including taking time to stop and smell the roses). I just turned 46, and have done so much...I lived in Europe, I sang in a band, I play Cello and Bass, I love my kids, I have a great Husband...and you know, I don't think I would have done so much if I had not had cancer. My personal philosophy about life reflects the Tim McGraw song “Live like you’re dying” P.S. One of my few remaining goals in life, is to learn to surf! I'd love to win becuase the titles all looks so fantastic + I need some new reads for the summer! Your button's on my sidebar! I love books, I love my Mom and I love being a Mom, thanks! I tweeted at CCQdesigns with your blog link. I'd give the books to my mother. I would love to win these, great books! I would like to win, because there are three books that I would just love to read. I know I love Jane Porter, the others look interesting, so I would love to win so I can read then pass them on. I would love to win - I need some great summer reading! And I'm a fairly new mom. I'd love to win because my sister and I are doing a sister book-swap, so we'd both get to read all of these great books! I'd love to win because I am trying to get into new authors. These would make great reading while my two little grandsons, that I keep every day, nap. Please enter me. I'd love to win so I can gift these books to my mother she would really enjoy them. I'm an avid reader, one after the next and I read all kinds of genres! I love reading and I can never keep enough books around. I love to read and these books look great. Lands' End Launches "The Island"